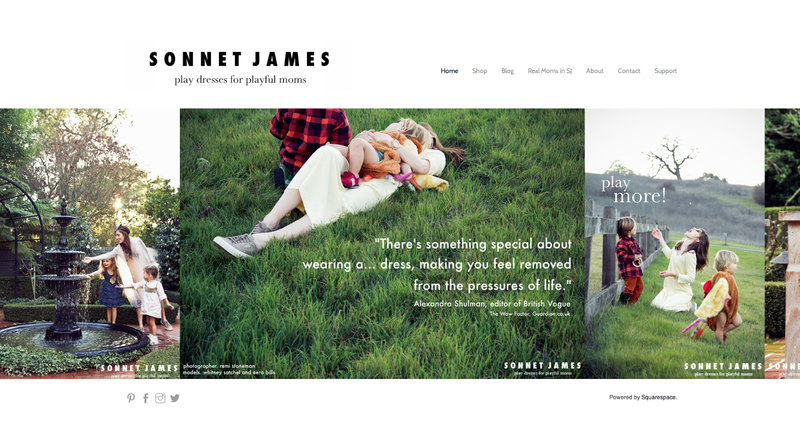 I was so flattered that when it was time to make her dress website live, my sister chose to use my photos for her amazing new line of dresses. She's seriously insanely talented, so much so that she received so many orders many of her dresses are now on back order or sold out! I'm so proud of her. For her shoot she wanted to use her own kids (plus my sister-in-law and nieces) in real life mom moments. I think they turned out beautifully. Go here to check out her site and order a dress here (good luck!) She'll have a kickstarter video up soon so she can release her fall line. Don't miss it! I can't believe this is your sister! I mean I can! I saw her feature on Design Mom and thought to myself - why does this remind me of Remi? You my dear are talented and come from a line of talented sisters don't you!